Andrew J. Katz, a leading educational technology innovator, has joined the Solomon Schechter Day School of Bergen County (SSDS) as director of academic affairs. 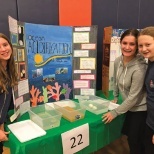 He will guide the expansion and school-wide integration of Schechter’s STEAM (science, technology, engineering, art, and math) program and supervise the school’s middle school general studies faculty and curriculum. Katz will work alongside Rabbi Fred Elias, who continues in his leadership role as school rabbi and middle school principal responsible for daily operations, school culture, Judaic studies curriculum and middle school faculty. 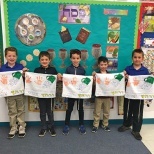 He also will support Schechter’s International Baccalaureate (IB) authorization as a world school this fall in coordination with IB educator and coordinator Ingrid Goldfein. 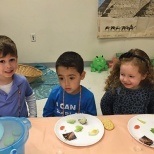 Since his arrival at Schechter in early August, Katz has already enhanced Schechter’s focus on design thinking, a process used in creative innovation and problem-solving for the benefit of the greater community. Design thinking continues to be incorporated throughout the middle school program in several new ways, including a new robotics and programming course, new digital fabrication tools, such as a 3D printer, an integrated art class, instruction on financial literacy as well as current events and news analysis. Throughout his career, Katz has been dedicated to teaching students to be innovative, creative thinkers, preparing them to tackle the challenges they will face in the rapidly changing world. He has served in a variety of administrative and teaching roles at several leading independent schools, including as director of technology and academic operations at New York’s Poly Prep Country Day School, the director of information services at The Roxbury Latin School in Massachusetts and associate head of school for academics at The Swain School in Pennsylvania. In addition, Katz helped design and run i2 Camp, a STEM focused, project-based summer camp, during its inaugural summer. A graduate of Georgetown University with a bachelor’s degree in physics and a Master of Arts in education leadership from the Klingenstein Program at Columbia University’s Teachers College, Katz is currently pursuing his MBA at Lehigh University, with a concentrate in finance.